I love me some lace! I wanted to make myself a little something pretty while I'm in the middle of making a bagillion gifts and things for an upcoming craft fair. In its former life it was an old frilly lace grandma curtain -- ruffles, big bow tie backs, the whole gaudy shebang. All that is gone. 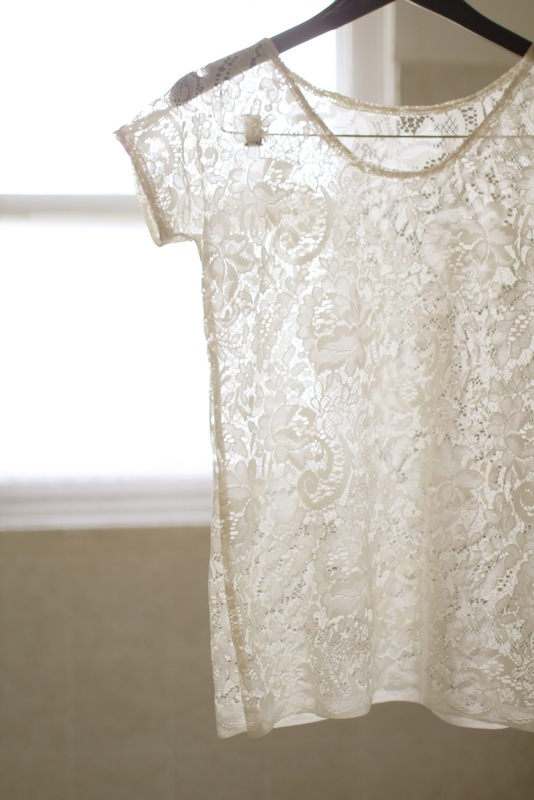 Now it is simple and classy. 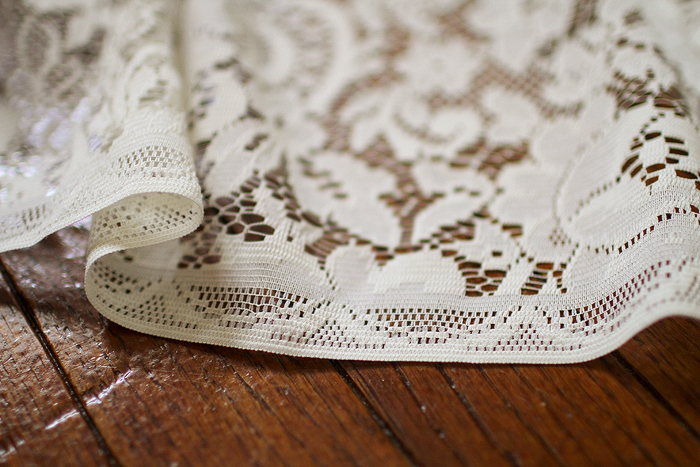 Just the way I like my lace. 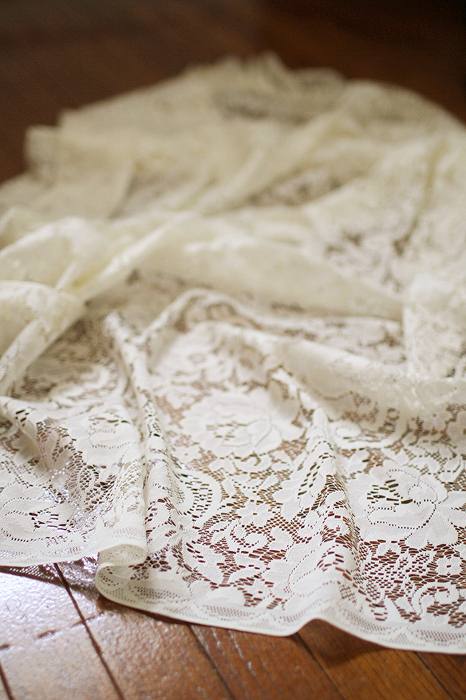 Look for something that's soft with a non directional pattern. 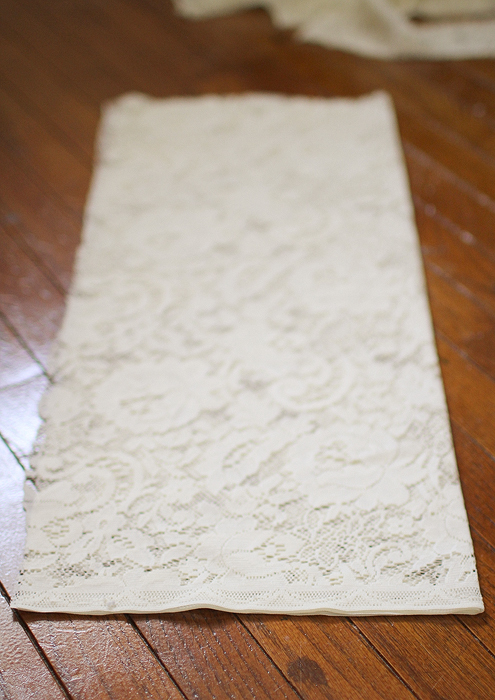 Also, bonus points if it has a finished edge something like this! Because you give yourself less work to do! I like that. Now I didn't follow a specific pattern to make this. 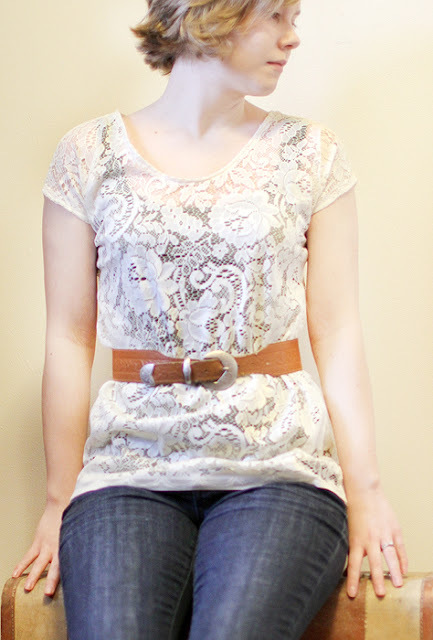 I used two shirts that I had the elements I wanted -- one for the neckline and one for the shoulders and sleeve shape. 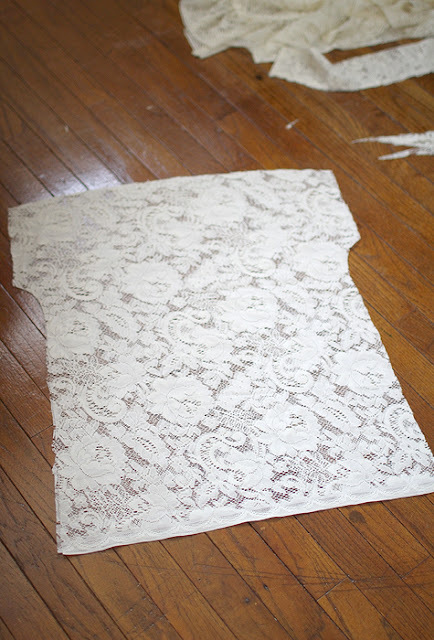 I laid out my one shirt over two layers of lace and cut a generous rectangle around it. My nice edge in the above photo is going to be the bottom of the shirt. Next fold the two layers of lace in half lengthwise. 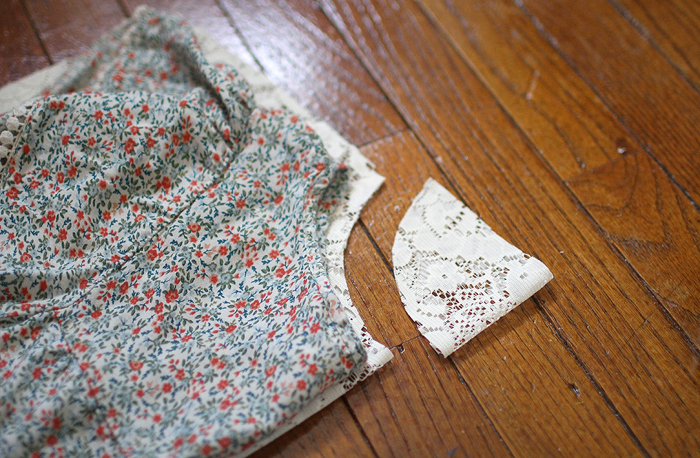 Fold your shirt in half and lay it on the lace -- folded edge on folded edge. 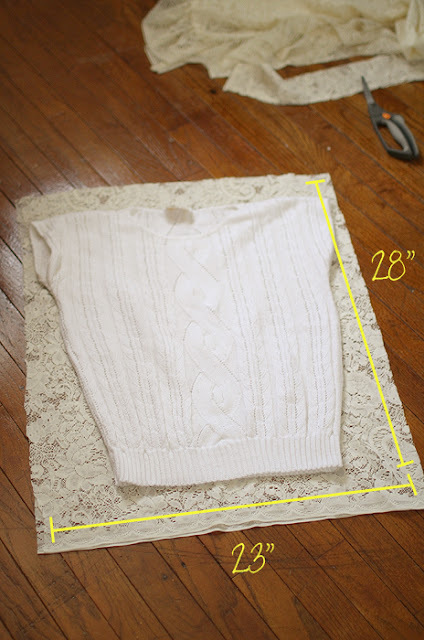 Cut around the shirt leaving a generous half inch. It's better to leave a little room than find out it's too small later. You can always take it in. For the sides, I wanted it to be loose so I just went straight down from the armpits. 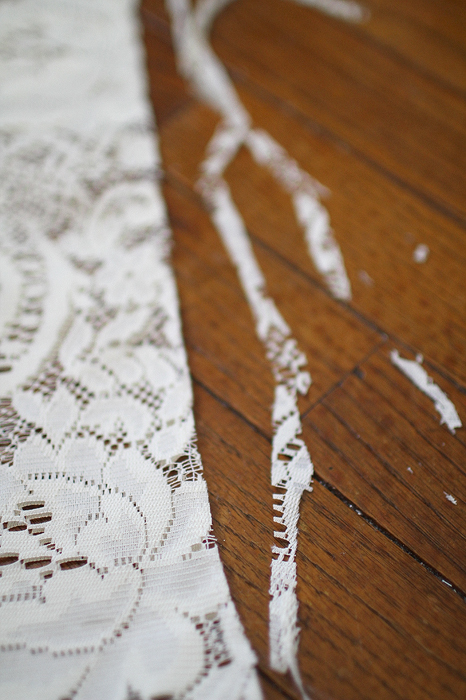 You'll now have two pieces of lace like this. Now take one of the pieces of lace and fold it in half like it was before. 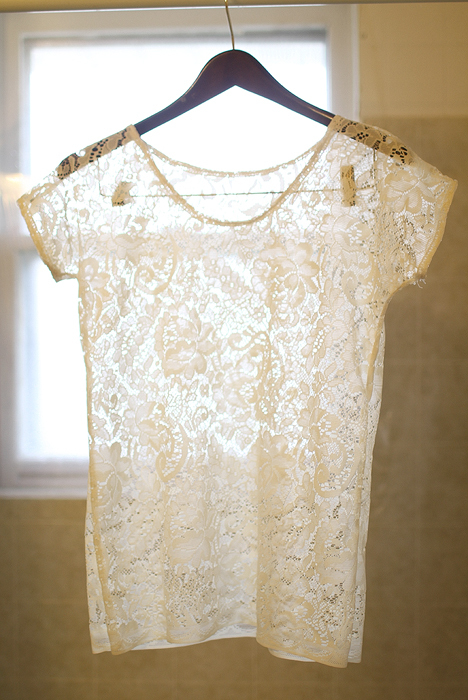 Take a shirt that you like the neckline from and fold it in half and place it on the lace -- folded edges on the same side. 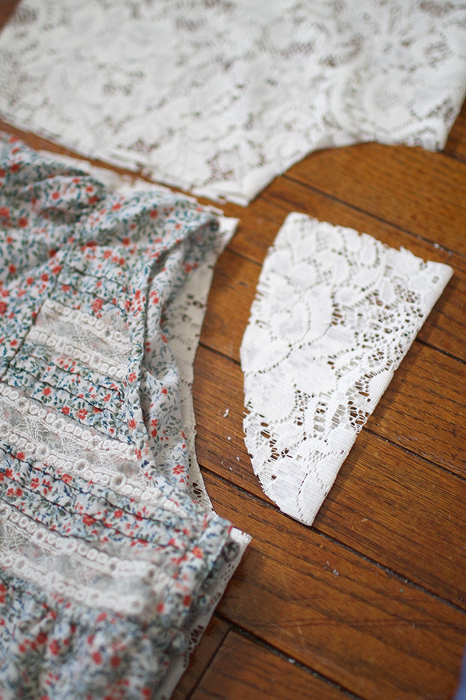 Cut along the neckline edge. This is the back of my shirt. Take the other piece of lace and do the same except use the front neckline. I lined up the shoulders from both pieces (the front and back). Now unfold your pieces and lay them on top of each other. 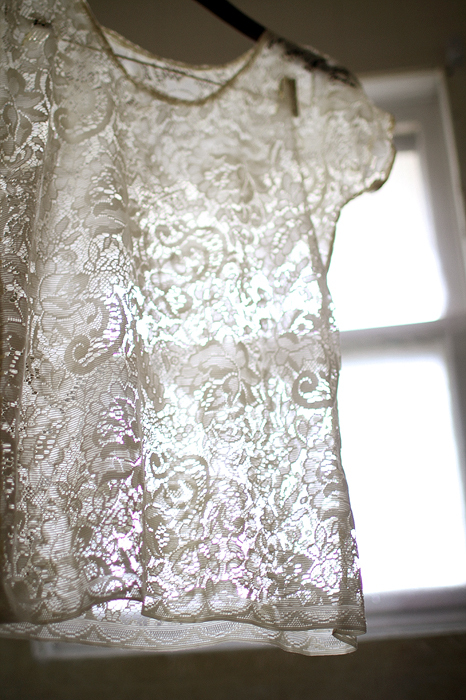 Right sides out (I found my lace didn't really have a specific front and back sides). 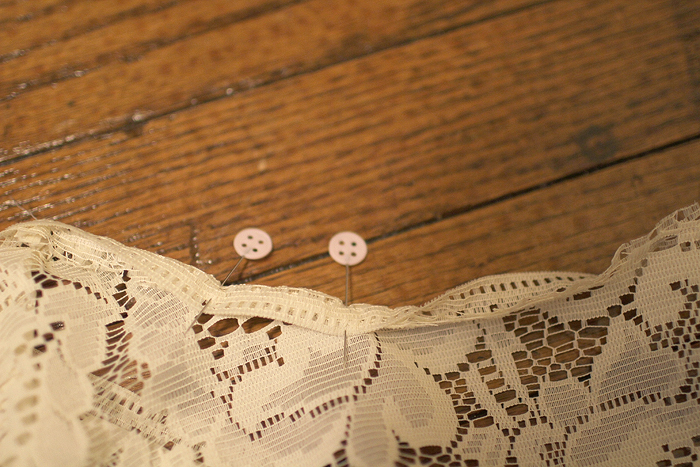 Pin along the sides, under the armpits and across the shoulders. We're going to do French seams! 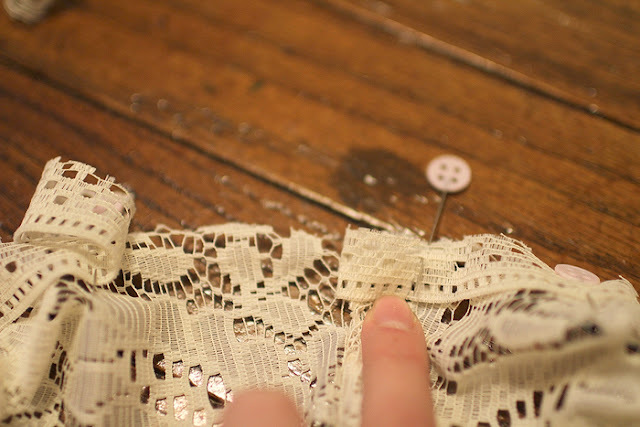 Sew where you pinned using a quarter inch seam allowance. 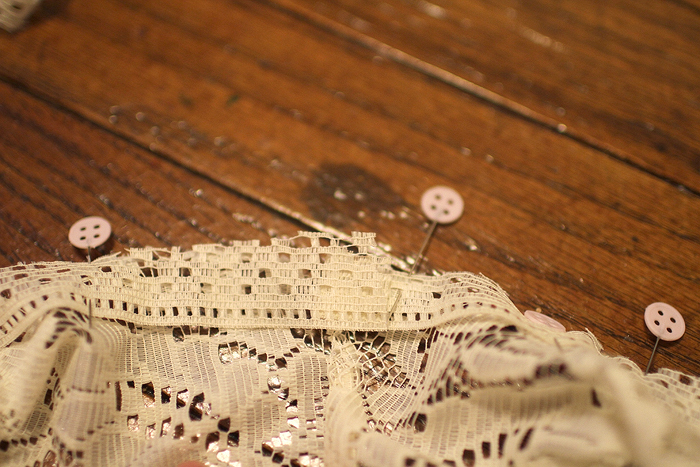 My sewing machine had a couple hiccups while it was sewing the lace probably because some of the parts are so open. At this point you can try it on and see if any adjustments need to be made. Next trim very close to the stitches you made. 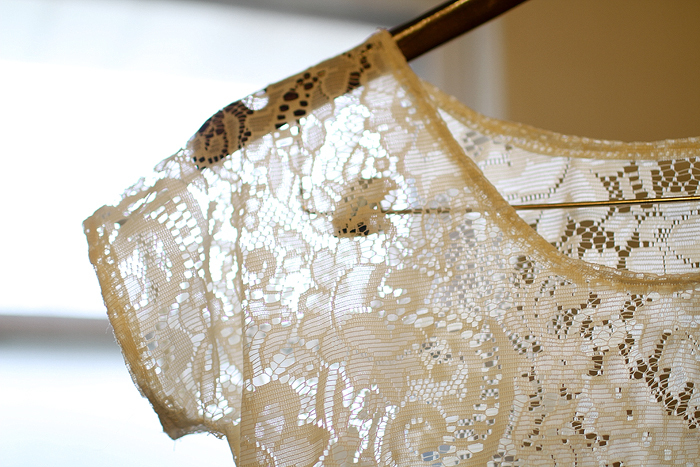 Now turn your shirt inside out and iron along the the seams. 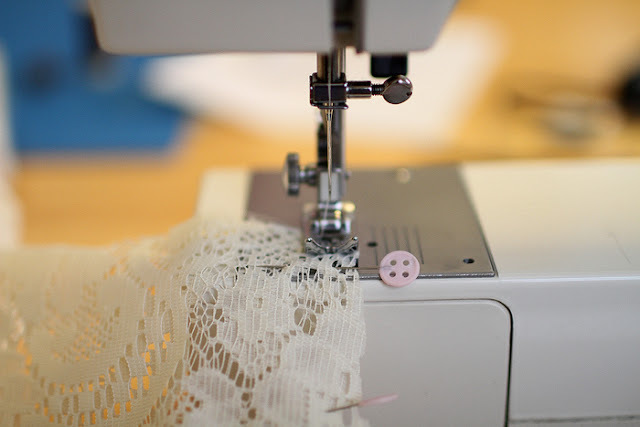 What you're going to be doing is encasing the first seam you made inside of the another seam. This gives a nice clean inside seam! It looks nice and professional. 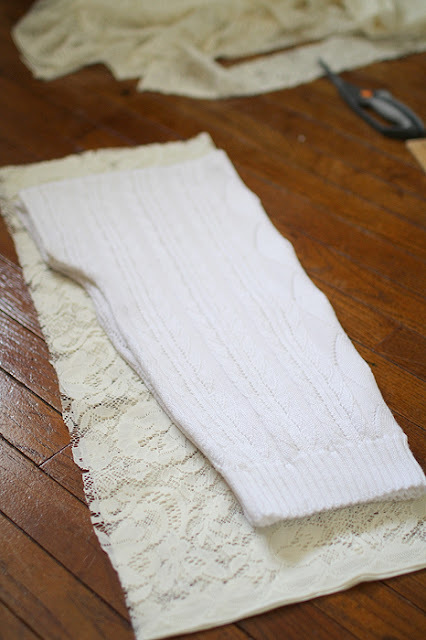 Once you have finished the shoulders and sides, it's time to finish the arm and neck holes. 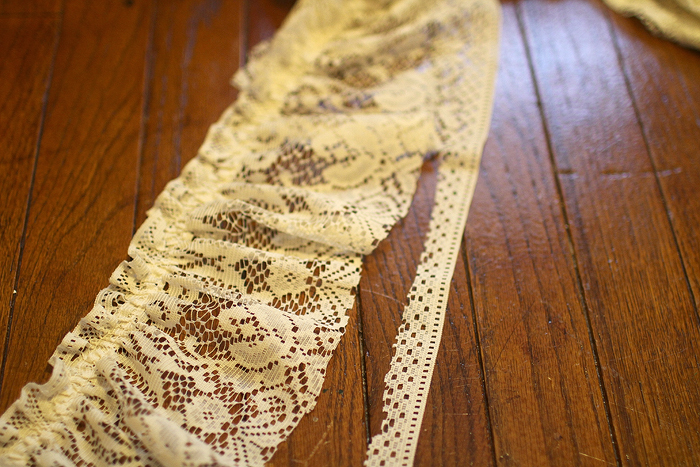 From some of the lace ruffles I cut off about 3/4" of the edge. 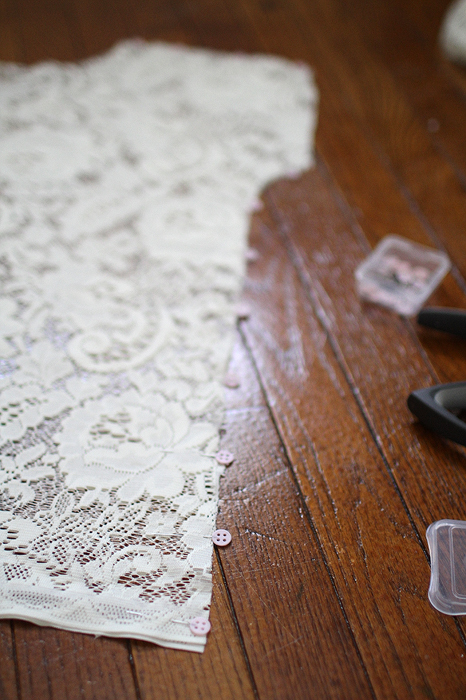 You could also use bias tape or ribbon. 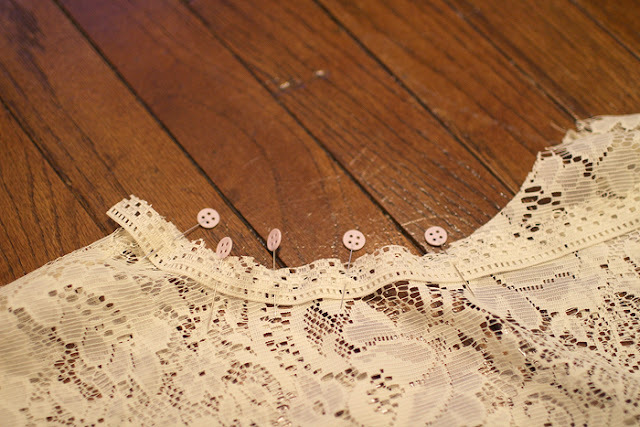 With your shirt right side out, pin this edging to the neck and arm holes. Rough edges together. I apologize if these next steps are hard to see. 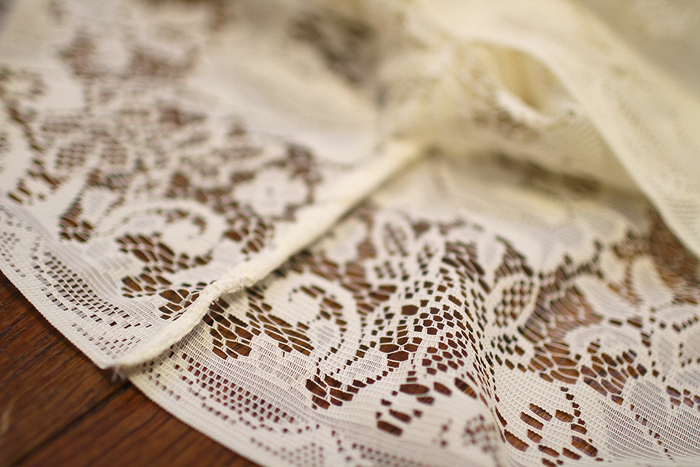 The lace is hard to photograph. and overlap it with the other end. Then sew using a quarter inch seam allowance. After you have done that, turn your shirt inside out. Take the nice edge of the edging and fold it over the seam you just made, pinning as you go. Again, you are encasing the rough edge inside another seam. 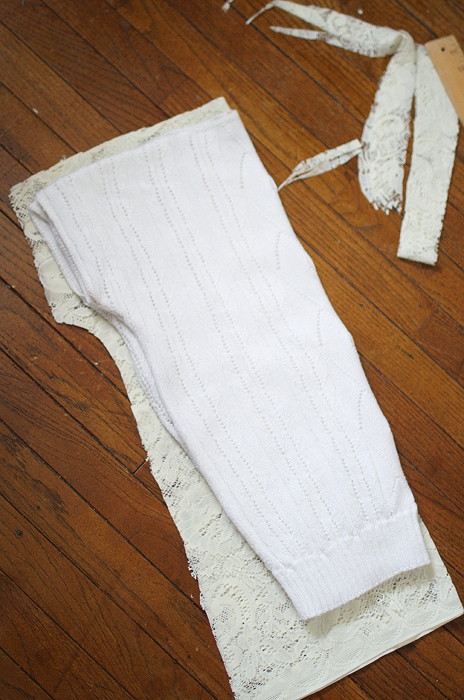 Finally sew where you pinned, giving the arm and neck holes clean finished edges! When you're done, put it on! You'll feel proud and and look pretty! It took me three-ish hours to make it. Enjoy! As always, let me know if you have any questions! That is beautiful! I think I'll be making a prego version!